A lady becomes a lady’s maid, a viscount becomes a valet. They want to prevent a misalliance – instead they fall in love. 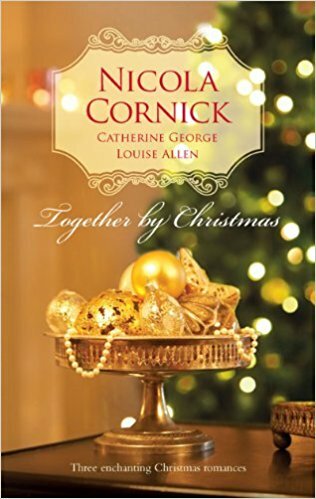 Lady Rowan Chilcourt is aghast when she learns that her shy friend Penny Maylin is destined to marry the sinister Lord Danescroft. Lucas Dacre, Viscount Stoneleigh, is equally horrified to realise his emotionally wounded friend Will is contemplating marrying such a mouse. 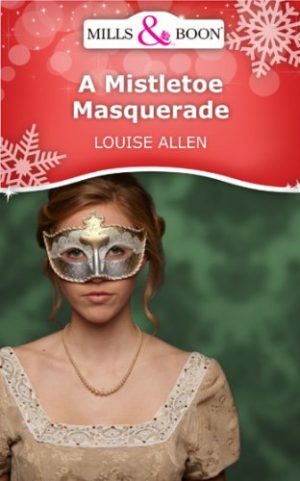 A snowbound Christmas houseparty gives Rowan and Lucas the opportunity to put an end to this match – by going under cover below stairs. But neither anticipated just where this masquerade would end. Lucas strolled through the passageways, Will’s buckskin breeches draped over his arm, receiving a gratifying amount of attention from the resident domestics. Below stairs, as above, status was everything and he was an earl by association. It amused him that as a servant he acquired a higher rank than his own and he allowed an amiable condescension to creep into his manner. If he were to engage his fellow staff in gossip about their employers, and specifically Miss Maylin, he needed to make a good impression: top lofty enough to demand answers to questions, pleasant enough so as not to cause resentment. A housemaid with a pert manner and a dimple showed him to the brushing room then bustled off with a swing of her hips and a backwards glance over her shoulder. He was smiling faintly from the encounter as he stepped inside and saw the room was already occupied. The young woman had her back to him, bent over the garment on the long table and presenting a vision which drove the memory of the housemaid right out of his mind. Slender, curvaceous and clad in a dull black that served only to focus all attention on her figure, she had not heard him come in. She was muttering under her breath as she brushed. Lucas suspected her words were curses, for she seemed to be more than a little hot and bothered. Her honey brown hair had been braided and strained back into an elaborate knot and had begun to come down. Little wisps clung to the damp skin of her neck. He moved closer, his feet silent on the oilskin floor cloth. It was a very pretty neck. He found himself transfixed by the nape, the tender white skin, the faint sheen of perspiration. What would it be like to bite? Just very, very, gently. ‘Ow!’ The cry of anguish was wrung out of him. She might be slender, but the top of her head banging back into his nose packed a powerful force. Lucas was fond of his nose. In his opinion it was one of his more distinguished features and having it broken by an irritable dresser would be distressing. Libertine? ‘Are you a dresser?’ But of course she was, he remembered her now, the striking girl with the scowl surrounded by shabby bags. He had winked at her. Obviously a mistake. ‘Well, you do not sound like it,’ he retorted frankly, dumping the breeches on another table and reaching for a brush. Her accent was crisp, assured and educated, even if her language when he had entered had been decidedly unladylike. ‘I wasn’t,’ he denied, attempting to look innocent. He did not have the face for it, he knew. The dresser simply slanted him a look that spoke volumes for her opinion of men, and of him in particular, and bent over the hem again. Lucas dropped the brush and dived under the table to retrieve it and get his face under control. The gods were on his side, obviously – not only had he found his quarry without any effort whatsoever but she was going to be a delight to extract information from. Not, of course, that this could go any further than a little light flirtation, if that was what it took to win her confidence. In Lucas’s code of honour servants were as out of bounds as virgin gentlewomen. On the other hand, she could have been a sour faced abigail or an old dragon. ‘What is your name?’ He straightened up and bent over his work again. Daisy. It did not suit her. This girl was no open-faced meadow flower, she was something altogether more subtle and cultivated. A honey-coloured rose perhaps: scented, velvety and with sharp thorns. ‘Lucas.’ She had spirit this one. Will outranked every other guest and his host. That made Lucas the top dog amongst the servants, yet she did not appear to be awed by that fact. ‘You may call me Mr Lucas,’ he added, more to see her reaction than anything. ‘Yes, Mr Lucas,’ she replied meekly, confounding him by finally recognising her place. ‘And thank you for showing me this brush, it has done the job perfectly.’ She folded the garment over her arm and moved towards him and the door beyond. Lucas shifted round his work table as though to find a better angle and blocked her path. ‘Really?’ Lucas kept his eyes on his task, feigning only casual interest. Schooling his features to hide his impatience with her sudden attack of discretion Lucas put the brush down and turned with deliberation to face Daisy. She was looking somewhat chastened, an expression that did not seem to fit her confident, heart-shaped, face.